The fifth annual “Run Holden Beach” event is scheduled on Saturday, January 19th. Coastal Race Productions is planning a 1 mile “turtle trot”, 5k walk / run and a half marathon with all of these races starting and finishing under the bridge. This will all be followed by live music, games and an after party at the Holden Beach Pavilion. 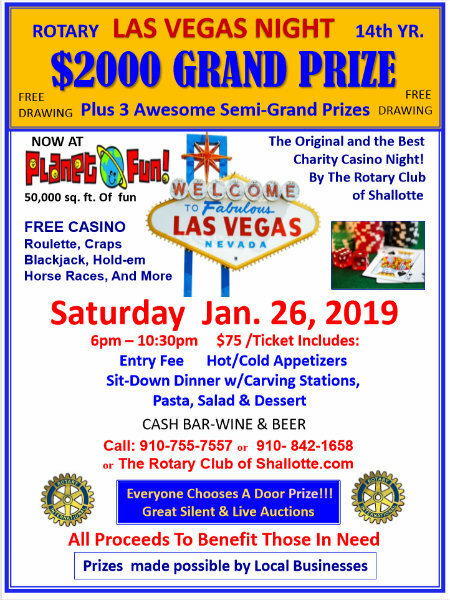 The Rotary Club of Shallotte will host its Fourteenth Annual Las Vegas Night on Saturday, January 26th at 349 Whiteville Road, the Planet Fun building in Shallotte. Discover a wide range of things to do in the Brunswick Islands for an experience that goes beyond the beach. Join us on February 14th at 2:00 p.m. in the Town Hall Public Assembly to help us get our 50th Anniversary Time Capsule started. 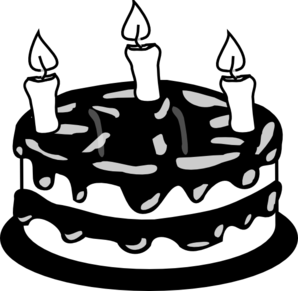 Cake and ice cream will be served. Call (910) 842-6488 to register. Don’t miss a dinner to commemorate our history on Saturday, February 16th at 6:00 p.m. An oral history of the Town will be presented at this time. Immediately following dinner, a bonfire will be held on the beach, weather permitting. Call (910) 842-6488 to register by February 7th at 10:00 a.m. 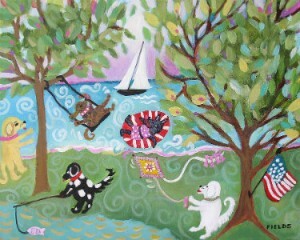 The Dog Park is closed due to the canal dredging project. As it stands now, the USACE will not allow the Town to place material from the canal dredging in their spoil area. Pending CAMA approval, the Town plans on using land at the dog park as its spoils area. The dog park will remain closed until after the dredging project is complete. They anticipate the park will be closed until at least Memorial Day. 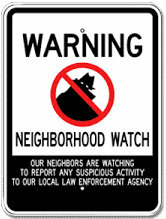 The town sends out emails of events, news, agendas, notifications and emergency information. If you would like to be added to their mailing list, please go to their web site to complete your subscription to the Holden Beach E-Newsletter. The Town is planning to perform a complete dredge of all of the canals this coming fall/winter (November 2018 – Mar 2019). It is recommended that property owners begin getting ready for the canal dredging as early as possible by first assessing the condition of their bulkheads so that repairs on those structures can be made in plenty of time before dredging begins. This will not only provide for the best dredging effort, but also lesson the possibility of leaky bulkheads filling canals back in prematurely after dredge completion. The Town will also be conducting its annual inspection of the bulkheads. Likewise, it is also recommended that property owners begin to coordinate the actions needed to move your floating docks in anticipation of the actual dredge arrival in order to facilitate a better excavation near their pilings. Finally, boat movements should also be considered. You may want to begin planning for winter accommodations and repairs to your boat now. Remember that boat dry docks book up fast. Construction at the Scotch Bonnet dredge spoil area began this week in preparation for this winter’s canal dredging project. We ask that canal property owners begin to move their boats and docks if possible in preparation for the dredge event. The tentative schedule will begin with Holden Beach Harbor mid-November, followed by Heritage Harbor mid-January, and Harbor Acres mid-February. Note: This schedule may be affected by inclement weather. King Dredging is partially mobilized on site and is prepping containment area by dog park. Dredging scheduled to commence in the middle of November working the canals from east to west. King Dredging is fully mobilized on site with dredge in canals. Scotch Bonnet dredge spoil area work is just about completed. Dredging operations are scheduled to commence the first day of December working the canals from east to west. Work is starting with Holden Beach Harbor, which includes canals between High Point and Greensboro. Property owners should have made dock and boat arrangements already, but if you haven’t there’s still a little time left. Canal Dredging operations are underway. 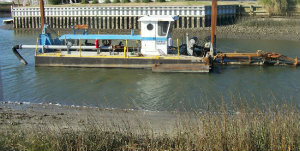 The dredge “Patricia Sanderson” started work in the Holden Beach Harbor feeder canal late last week. Currently, the dredge is working near the northern end of Durham Street heading west in the feeder canal. If you haven’t taken care of making arrangements to move your in water boats you need to do so as soon as possible. Due to the size of the dredge, the contractor has asked that boats on lifts in Heritage Harbor be removed before dredging begins. This will allow for a better dredge in this set of canals as the dredge follows the designed template. The contractor anticipates beginning work in Heritage Harbor in February. Please accommodate the request at your earliest convenience. The Town is always looking for people to volunteer for their various boards and committees. If you are interested in serving, please fill out a resume form and submit it to heather@hbtownhall.com. 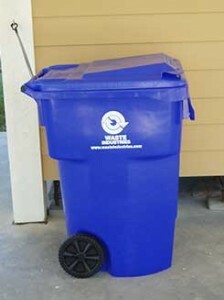 Waste Industries is now offering curbside recycling for Town properties that desire to participate in the service. The service cost is $82.48 annually paid in advance to the Town of Holden Beach and consists of a ninety-six (96) gallon cart that is emptied every other week. 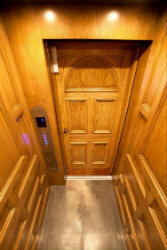 Most states mandate that elevator systems be tested and inspected annually. Currently the state of North Carolina does not require annual inspections to be performed on all elevator systems. The use of unsafe and defective lifting devices imposes a substantial probability of serious and preventable injury to your family and guests. It is in the owner’s best interest to minimize injuries and liability by scheduling an annual safety inspection to ensure the safe operation of their elevator system. Waupaca Elevator Company has issued an important safety notice. The potential hazard is associated with normal wear in your elevator. If your elevator develops the problem and it is not repaired, the elevator may drop unexpectedly with you in it and you may be injured. They recommend you contact your elevator service company. 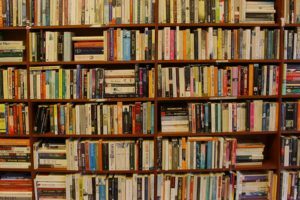 If you need something to keep you busy in this colder weather, make sure to visit the island library. The library is in the upstairs of Holden Beach Town Hall. All the books were donated. Patrons of the library don’t have to check out a book; they are on the honor system to return it. 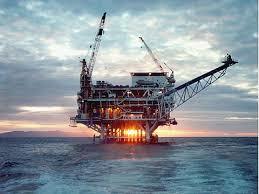 Resolution 15-09 is in opposition to offshore exploration and drilling. Why? Because we have a tourism based economy, along with the local fishing industry and quality of life depends on the health and welfare of our natural resources. We believe that the inherent risks to our region from offshore exploration and drilling have the potential to irrevocably harm our natural environment, our economic well-being and our overall quality of life. 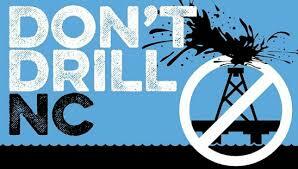 Including us there are now 79 municipalities that have passed resolutions opposing offshore exploration and drilling. The approval moves forward a policy that many affected states don’t want. Did drilling off NC coast just move one step closer? Leading environmental groups sued the federal government today to prevent seismic airgun blasting in the Atlantic Ocean. This extremely loud and dangerous process, which is used to search for oil and gas deposits deep below the ocean’s surface, is the first step toward offshore drilling. If allowed, seismic airgun blasting would harm marine life, including whales, dolphins, fish and zooplankton – the foundation of the ocean food web. What did N.C. leaders do to reinforce their opposition to offshore drilling? Less than a month after the federal government took an important step toward issuing seismic testing permits, North Carolina leaders have reiterated the state’s opposition to seismic and any other steps that could ultimately lead toward offshore drilling. Thursday, N.C. Governor Roy Cooper joined a bipartisan group of East Coast governors in a letter stating their strong opposition to both offshore drilling and seismic testing, while Attorney General Josh Stein was part of a group of attorneys general intervening in a lawsuit against the National Marine Fisheries Service (NMFS). A group of House Democrats introduced a suite of eight bills Tuesday aimed at blocking President Trump’s proposal to expand offshore oil and natural gas drilling around the country. Taken together, the bills would ban or put a 10-year moratorium on offshore drilling in the Atlantic, Pacific and Arctic oceans, as well as the eastern Gulf of Mexico. The bills came as the Interior Department is expected soon to move forward on its plan released in January 2018 to open the offshore areas of the Atlantic, Pacific, Arctic and Gulf coasts to offshore oil and natural gas drilling. That plan has met stiff opposition from political leaders and coastal communities that neighbor nearly all of the areas. SC attorney general joins lawsuit to stop seismic testing, offshore drilling S.C. Attorney General Alan Wilson joined a lawsuit Monday against the Trump administration to block seismic testing for oil and gas off the South Carolina coast.Backed by GOP Gov. Henry McMaster, Wilson became the first Republican attorney general to join a legal fight — launched by 16 S.C. cities, nine environmental groups and nine Democratic state attorneys general — to halt permits for exploration off the Atlantic Coast. Those suing say exploration will harm the environment and South Carolina tourism. Wilson’s filing unites an unlikely coalition in opposition to one of President Donald Trump’s highest priorities — expanding efforts to find new deposits of fossil fuels — as the Republican president seeks to roll back Obama-era regulations that blocked drilling on more than 90 percent of the outer continental shelf. Chemours has issued a press release announcing that the company will take measures to eliminate byproduct GenX wastewater emissions from its Fayetteville site. 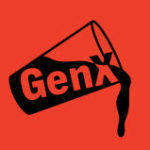 In order to keep citizens informed, Brunswick County has established a website to share information about GenX as they learn it. 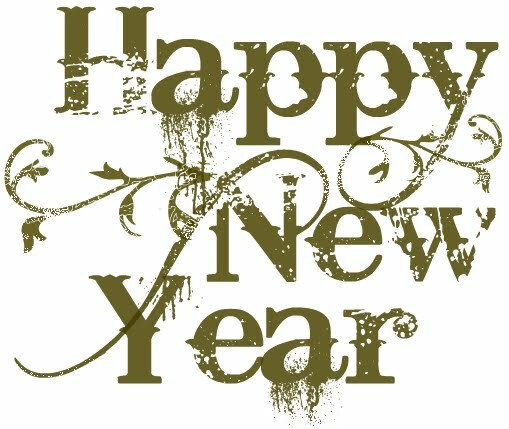 You can find this page at www.brunswickcountync.gov/genx. The website contains a FAQ section that they update as they learn additional information (or receive additional questions), links to all their press releases and links to other resources like information from NCDEQ. There is also a link where citizens can go to sign up to receive email updates on the topic. The Public Information Officer for Brunswick County announced that the County has taken legal action against DuPont and Chemours for contaminating the Cape Fear River. The filing of formal legal action against Chemours and DuPont represents another crucial step in protecting our public drinking water supply. It sends a clear message that Brunswick County will simply not stand for the discharge of emerging or unregulated chemicals into our public drinking water supply. Let us be clear…we will ensure that any company that threatens this vital resource is held responsible. Furthermore, our litigation team is consulting the nation’s leading experts to determine the best long-term water testing and treatment methods for the entire county. As part of that, we will ensure that the costs for doing so do not fall upon the rate payers, but upon those dumping the unregulated chemicals in the water. Chemours and Cape Fear River Watch? State regulators are not looking out for the needs of residents or utilities downstream of Chemours’ Fayetteville Works facility, the Cape Fear Public Utility Authority (CFPUA) alleged in a pair of motions filed Thursday in Bladen County Superior Court. Sand that Holden Beach has received for years to re-nourish its east-end oceanfront may instead go to a neighboring island, a prospect that caught town officials by surprise and questioning why the sudden change. Holden Beach’s east end could receive sand from a possible Lockwood Folly Inlet project next year. After removing some of the optional jobs, such as grooming freshly renourished beaches, the U.S. Army Corps of Engineers has awarded a $3.3-million contract to Southwind Construction Co. for work on area waterways. The bid award is good news for Oak Island, which expects to receive 88,000 cubic yards of sand along an eroded section of the western part of the island near 69th Place West. It is expected to cover about 2,500 feet of beach. Holden Beach’s inlet and beach protection board recommended town commissioners pursue a project that could mean sand being placed on the east end of Holden Beach. In an email sent to Town Manager David Hewett, Oak Island Town Manager David Kelly and Brunswick County Manager Ann Hardy, Deputy County Manager Steve Stone said the county received a grant award contract from the North Carolina Department of Environmental Quality Division of Water Resources for the Lockwood Folly Navigation Project submitted last summer. The application indicated the county would work to place the resultant beach-quality material, estimated to be in the range of 250,000 cubic yards, on one of the two beaches. The county is seeking feedback from Holden Beach and Oak Island before it pursues the project. Stone said county originally proposed paying 25 percent of the required local share, or $344,338, with the remaining 75 percent, or $1,033,013, to be paid by the town receiving the sand. Stone said DWR staff members are aware the project is unlikely to happen before fall 2019 but extending the period of performance could be granted. He said the county hopes to hear back from both municipalities by early January. 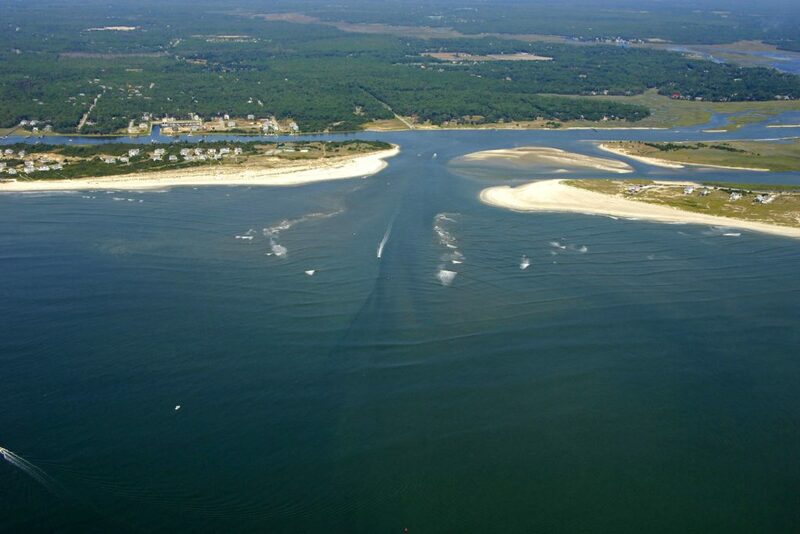 In its recommendation, the inlet board raised concerns such as what type of impact the removal of 250,000 cubic yards of sand for the project will have on both Holden Beach’s east end and Oak Island. Getting permission to dump sand in federally maintained dredged material disposal areas may not be entirely impossible, but a nationwide policy heavily restricts access for North Carolina coastal municipalities and businesses that have long relied on the sites. If the Army Corps of Engineers’ Wilmington District office, along with local and state officials, can come up with ways to work around the policy, all indications are that it could come at a hefty price for non-federal users, including beach towns and private marina owners. The policy indicates that while non-federal projects may apply to dispose of material on a Corps-maintained site if the project meets specific requirements, most federal projects are perpetual, and therefore “few” sites will have extra space. Though the Corps’ nationwide guideline is more than a year old – it became effective Feb. 3, 2017 – word of it has gradually spread along the North Carolina coast. Congress must periodically renew the NFIP’s statutory authority to operate. 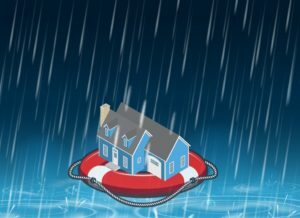 On July 31, 2018, the President signed legislation passed by Congress that extends the National Flood Insurance Program’s (NFIP’s) authorization to November 30, 2018. Congress must now reauthorize the NFIP by no later than 11:59 pm on May 31, 2019. FEMA and Congress have never failed to honor the flood insurance contracts in place with NFIP policyholders. Should the NFIP’s authorization lapse, FEMA would still have authority to ensure the payment of valid claims with available funds. However, FEMA would stop selling and renewing policies for millions of properties in communities across the nation. Nationwide, the National Association of Realtors estimates that a lapse might impact approximately 40,000 home sale closings per month. NFIP reauthorization is an opportunity for Congress to take bold steps to reduce the complexity of the program and strengthen the NFIP’s financial framework so that the program can continue helping individuals and communities take the critical step of securing flood insurance. The level of damage from the 2017 hurricanes makes it abundantly clear that FEMA needs a holistic plan to ready the Nation for managing the cost of catastrophic flooding under the NFIP. Reappraisal is a process in which all real estate values are assessed at their market value as of a specific date. 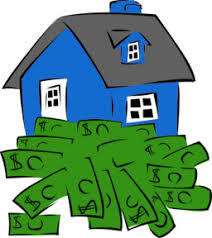 The purpose of a Reappraisal is to provide equalization among all types of properties. North Carolina General Statutes require each county to conduct a Reappraisal at least once every eight years. Brunswick County conducts a Reappraisal every four year. The last Reappraisal was effective January 1, 2015. The Board of Commissioners will hold a Special Called Meeting at 3:00 p.m. on Thursday, August 30, 2018 in the Commissioners Chambers located in the David R. Sandifer Administration Building, 30 Government Center Drive, NE, Bolivia, NC. The purpose of the meeting is to adopt the 2019 reappraisal Schedule of Values. A copy of the Schedule is available to the public in the office of the Brunswick County Tax Assessor, Brunswick County Government Center, 30 Government Center Drive NE, Bolivia, NC from 8:30 a.m. – 5:00 p.m. Monday thru Friday, and on the County’s website. Click here for more information from the Brunswick County’s FAQ web page on this topic. The N.C. Department of Transportation and the S.C. Department of Transportation plan to extend Carolina Bays Parkway (S.C. 31) from S.C. 9 in Horry County, S.C., across the North Carolina state line to U.S. 17 in Brunswick County. The project is expected to involve the construction of a multi-lane expressway and may involve both existing roadways and areas on new location. SCDOT State Transportation Improvement Program (STIP) Project P029554 would extend Carolina Bays Parkway from its current terminus at S.C. 9 in Horry County to the North Carolina state line. NCDOT STIP Project R-5876 would extend Carolina Bays Parkway from the state line to U.S. 17 Shallotte Bypass in Brunswick County. Carolina Bays Parkway Extension is anticipated to involve the construction of a multilane, full control of access freeway, with part on new location. 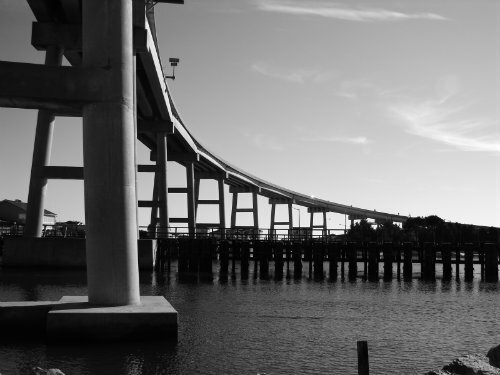 Full control of access means that access to Carolina Bays Parkway will only be provided via ramps and interchanges. Bridges will be installed at some cross streets and no driveway connections will be allowed. An over half-billion dollar highway project is being designed to streamline transportation between North and South Carolina. The Carolina Bays Parkway Extension would connect S.C. 31 directly to Highway 17 in Brunswick County. Right now, S.C. 31 — Carolina Bays Parkway — runs inland and parallel to Highway 17 in South Carolina along the Myrtle Beach metropolitan area. The 24-mile long parkway ends just 4.5 miles short of the border in South Carolina. Traffic connects S.C. 31 to Highway 17 through a 1.5-mile terminus along S.C. 9. The over half-billion dollar project instead proposes to extend S.C. 31 where it drops off, and connect it to Highway 17 in Brunswick County. The oceans are warming faster than climate reports have suggested, according to a new synthesis of temperature observations published this week. 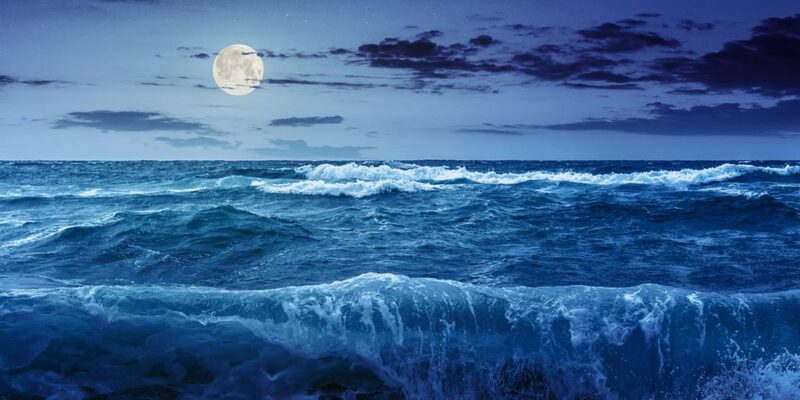 The most recent report from the United Nations Intergovernmental Panel on Climate Change made what turned out to be a very conservative estimate of rise in ocean temperature, and scientists are advising us to adjust our expectations. Eating out is one of the great little joys of life. Dinner Club visits a new restaurant once a month. 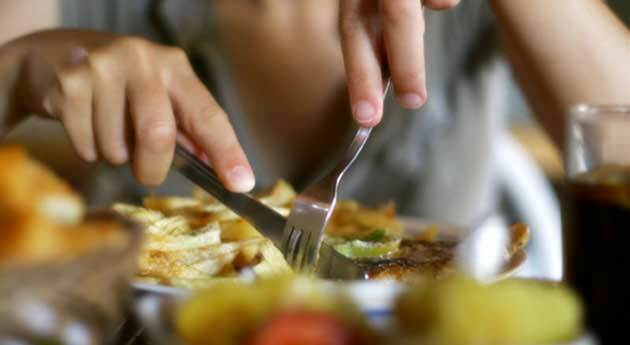 Ratings reflect the reviewer’s reaction to food, ambience and service, with price taken into consideration. Brilliant scientist and master thief Gideon Crew returns for his fifth, and quite possibly his final, adventure in the latest thriller. 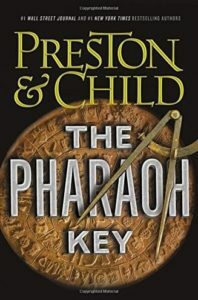 It takes Gideon from New York City to remote Egypt in search of a treasure. Fans of the Indiana Jones style adventurer will find plenty to like.